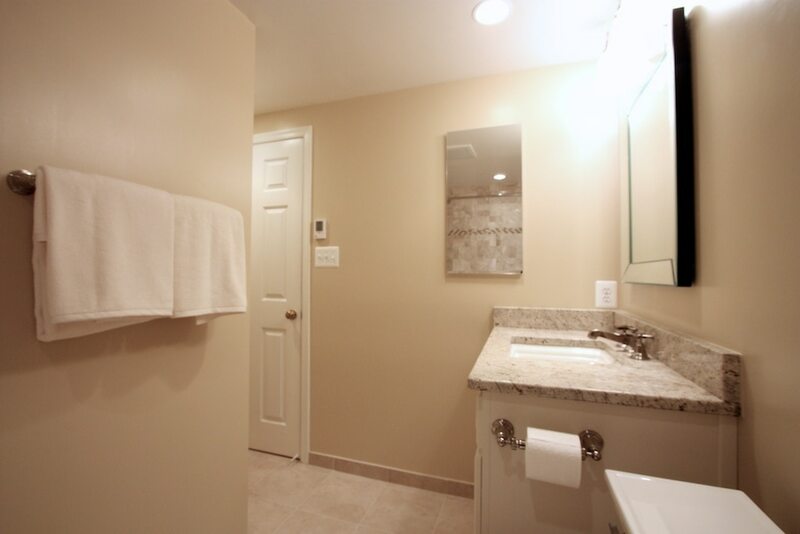 Remodeled basement bathroom with heated porcelain floors. Existing bathroom was completely removed. 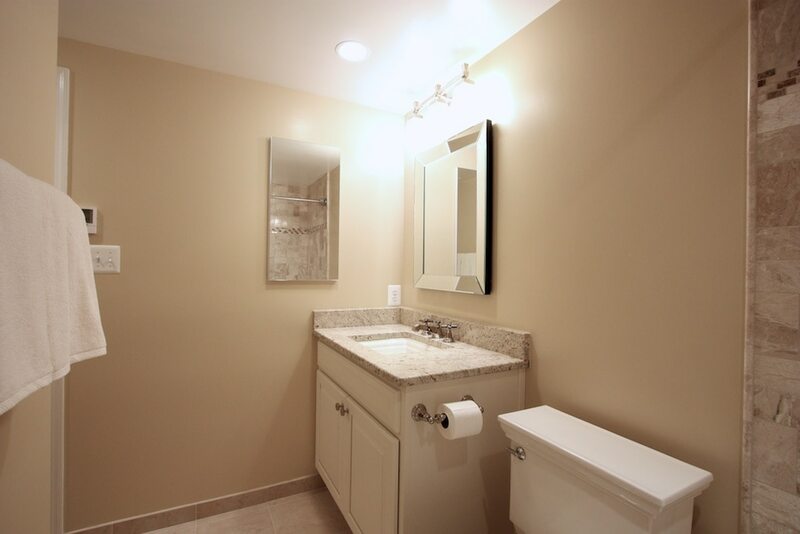 Recessed light and new vanity light added to brighten up the area. Marble tile used on shower walls and floors made with porcelain tile. 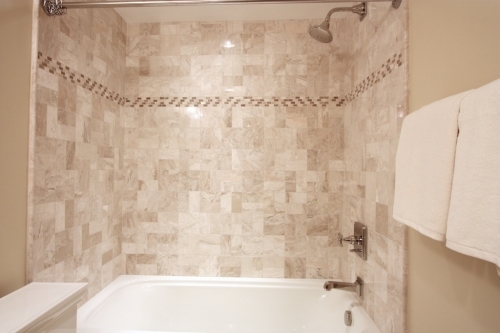 Heated floors installed under floor tiles to help keep feet warm in the winter. 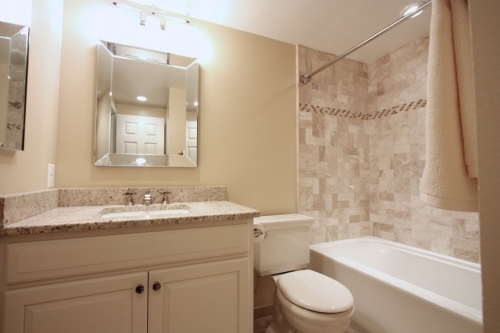 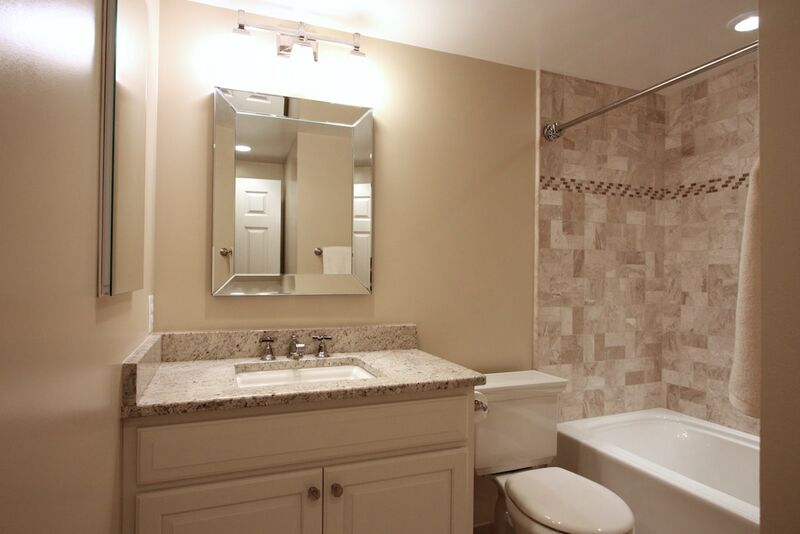 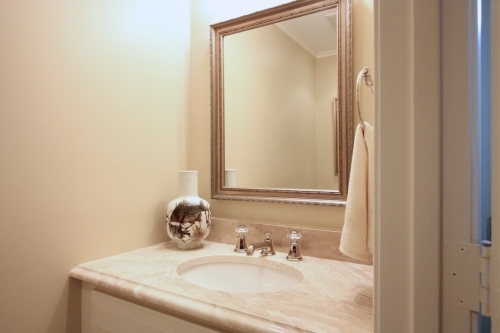 Kohler Plumbing fixtures were used for faucet, shower trim, and shower head.